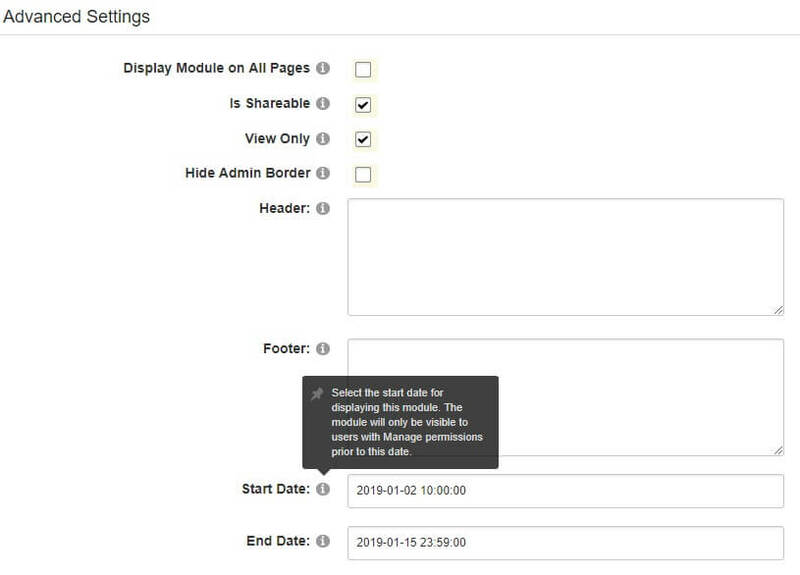 If the Apparatus Manager module was added to a page under the Admin directory, hover over "Admin" in the control panel and then find and click on "Apparatus Manager". 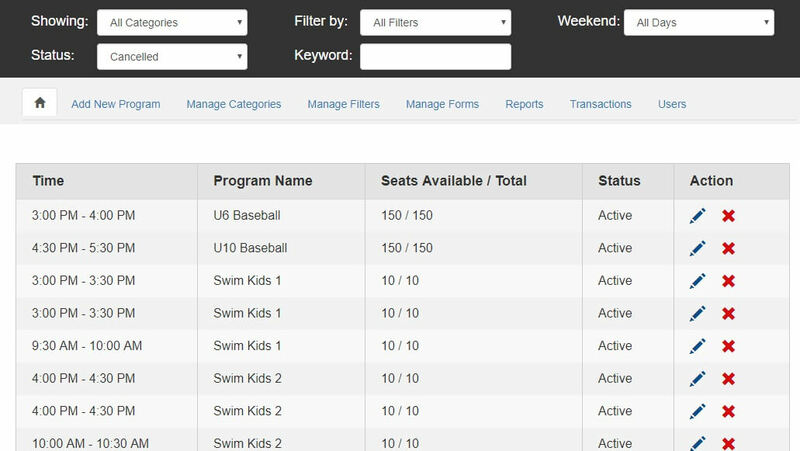 The Apparatus Manager is a dashboard that allows administrators to edit and organize programs, upload and manage files, and view reports. Go to the page with the INNO Apparatus Manager module. The list of programs is loaded on the Home tab. Click the pencil icon to the right of a program to edit it, or click the "Add New Program" tab to create a new program. Enter or update the program details and click Save to complete the program creation process. Click the red X icon to the right of a program to delete it. Important Note: When a program is deleted, all of the program's reports are also deleted! When in doubt, edit a program and set the status to "Archived" - this will remove it from the program list that regular users see in the INNO Apparatus module, but the program and reports are still available for review by administrators in the INNO Apparatus Manager module. Click the pencil icon to the right of a program to edit it. Click the Status drop-down list and choose "Archived", and save the changes to the program. This will remove the program from appearing in the list shown in the INNO Apparatus module. It's possible to set overall registration to be limited to a certain time period by controlling the visibility of the INNO Apparatus module. Go to the page with the INNO Apparatus module, and put the page into Edit Mode. Click the gear icon to the upper right of the INNO Apparatus module, and select "Settings". Enter datetime values for the Start Time and End Time fields, and save the changes. These values are dependent on the server's timezone. 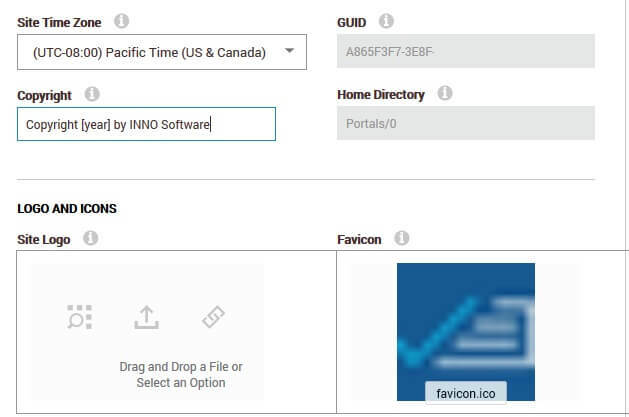 The INNO Apparatus module will only be displayed to regular users (whether they are logged in or not) if the current datetime is between the Start Date and End Date values. Note: The INNO Apparatus module will always be available to administrators when they are logged in. 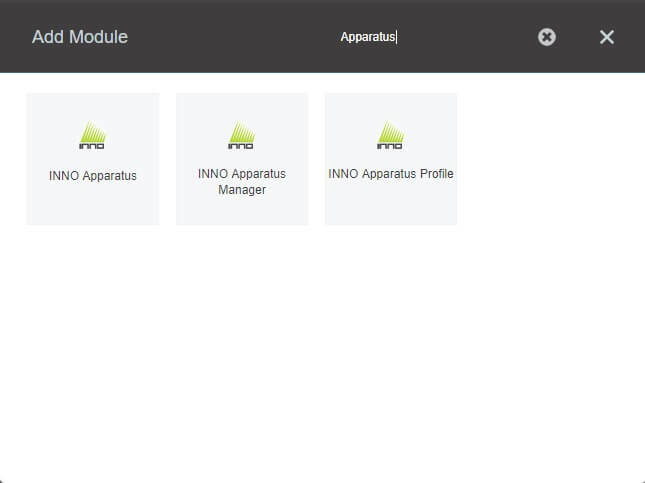 Go to the page with the INNO Apparatus Manager module. Click the pencil icon to the right of the program you wish to edit. Scroll down to the Description field, and add HTML code to create the link. These are forms for participants and their guardians to complete and submit or bring when attending, such as waivers and questionnaires. 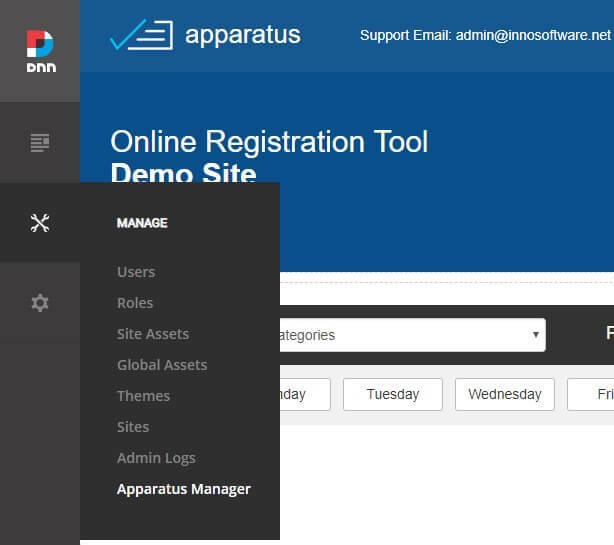 Go to the page with the INNO Apparatus Manager module, and click the "Manage Forms" tab. In the Manage Files section, click "Choose File" to select a local file. then click Upload to transfer it to the server. In the Manage Forms section, select the file uploaded in the previous step and enter a user-friendly name in the Form Name field. This friendly name can be seen by all users - by administrators when editing programs, and by participants when viewing and enrolling in programs. the Manage Forms section, scroll down to the list added forms. Click the red X next to the form to be deleted. The form is removed from the list. 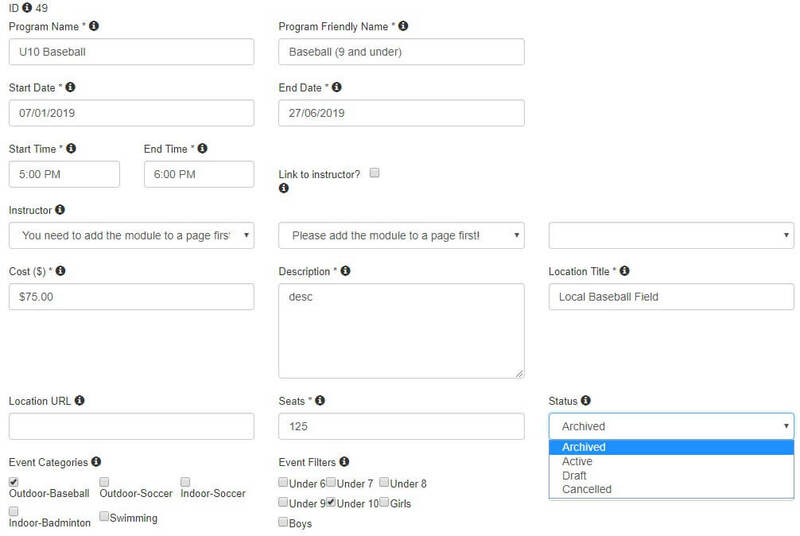 Important Note: This action deletes the form listing from Apparatus - that is, administrators cannot add the form to programs, and users cannot see the form attached to programs. However, the file is not deleted from the server. Exercise caution when removing files - this action cannot be undone! Go to the File Management page. By default this page is under the Admin section. Navigate to the INNO/resources/Events directory. Select and delete the forms you wish to permanently remove from the server. To view reports, go to the page with the INNO Apparatus Manager module, and click the Reports tab. Filtering reports for a time period filters the data within those reports to that time period. This means that registrations occurring outside that period will not be in the report data. Reports are only generated for programs with one or more registered participants. Programs with no registrants do not generate reports. There are a few different ways the membership number can be retrieved. Regular users can go to the page with the INNO Apparatus Profile module. The membership number is automatically populated for the logged-in user. In the Users area of the Apparatus Manager. Administrative users can go to the page with the INNO Apparatus Manager module, and click the Users tab. Find the desired user, and click the pencil icon to the right of the user to edit that user's profile and observe the membership number. Go to the page with the INNO Apparatus Manager module, and click the Reports tab. 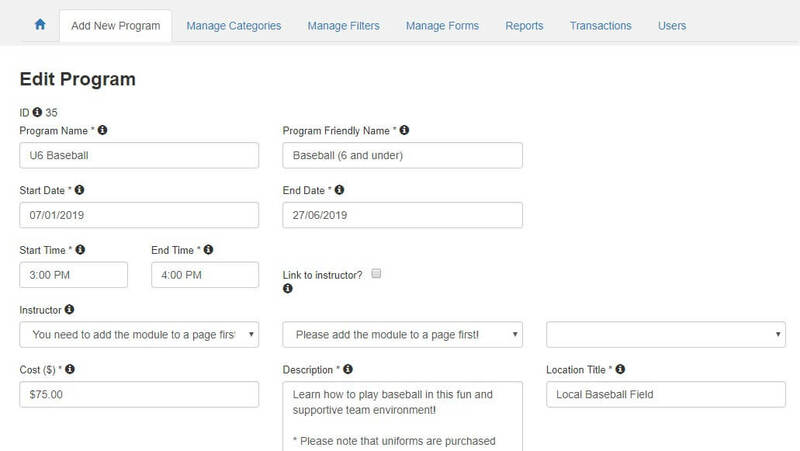 Click on the Participant Report link to the right of a program to retrieve the membership number for the users registered in that program. 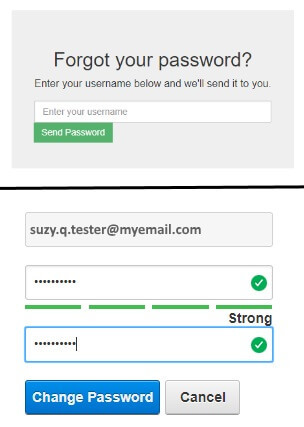 Users who know their passwords can log in and update their account password in their user profile. 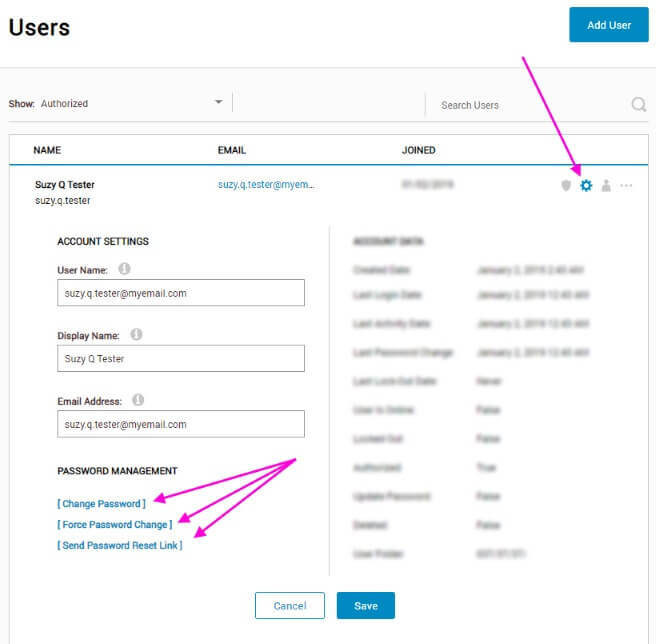 Users who have lost or forgotten their passwords can reset their passwords using the Forgot Password link on the Login page. Note: Passwords are encrypted for security. For this reason, a user's password may never be retrieved! Instead, a password may be reset, either by the user or by an administrator. Additional information is available in the Password Management documentation. 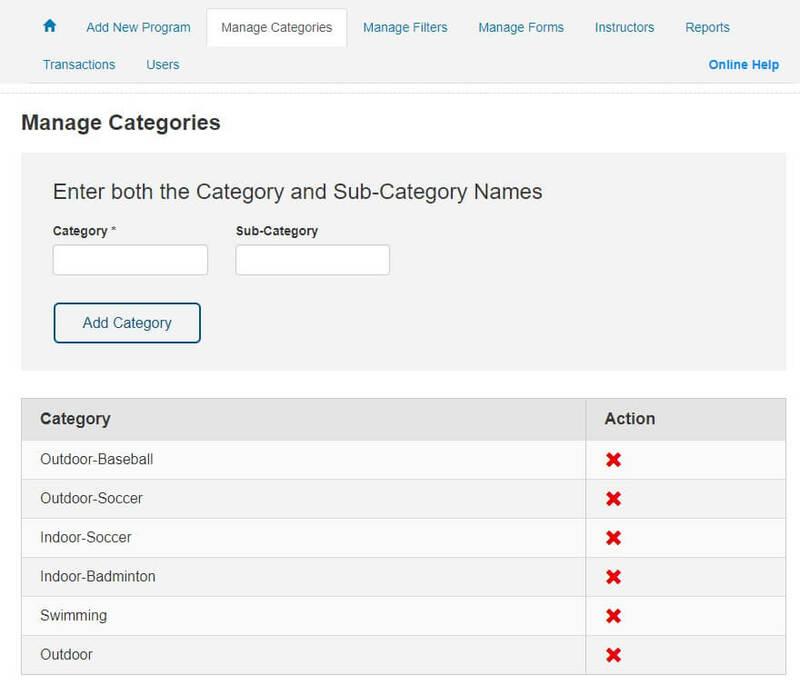 Categories can be used for single-tier or dual-tier program sorting. Go to the Apparatus Manager and select the Manage Categories tab. To create a dual-tier category, enter both the Category and Sub-Category name, then click Add Category. It is not mandatory to create a single-tier or parent category before creating sub-categories. Go to create or edit a program, and select all categories the program is associated to. Note: Parent categories must be selected manually, along with the sub-category values.... selection of sub-categories does not select the parent caegory! It's possible to set support information that is visible to all site visitors, logged in or not. This information is maintained on the profile of the user account set as the Site Administrator / Primary Administrator. To confirm which user account has been set as the Site Administrator user, find this information in the Security settings for the website. Log in to the site using the Site Administrator account credentials. Note: This user profile management is not the same as the Apparatus Profile. Check to make sure the URL is not the same as the page with the INNO Profile module. The Support Email is the email address used for this account. To change the Support Email, click Manage Account. Under the Account Settings section, update the Email Address field and click Update to save the changes. This field is a required field and cannot be removed. The Support Phone is the number in the Contact Info for this account. To change the Support Phone, click Edit Profile and expand the Contact Info section. Update or remove the Telephone field value and click Update to save the changes. Go to the page with the INNO Apparatus module. Edit the page by clicking the pencil icon. When the page is in Edit Mode, a small gear icon appears at the upper right corner of each module on the page. Click the gear and select "Settings," and then go to the "INNO Apparatus Settings" tab. Expand the Membership Options section to set membership fees and renewal dates for all users. At this time, only administrators can reprint or resend a receipt. Go to the page with the INNO Apparatus Manager page, and click the Transactions tab. Filter the transactions by user, if desired. Scroll down to see the transactions. Click on the transaction, and it expands to display the transaction details. Click the "Resend Receipts" button to reissue the receipts. Users can submit feedback on Step 4 of the registration and checkout process. This information is available for review in the Transactions tab. The text from the Additional Feedback field in Step 4 of the checkout process is displayed in the Notes column in the list of transactions. Data for this column is also displayed in the Transactions reports. Go to the page with the INNO Apparatus Manager page, and click the Add New Program tab. Enter $0 for the cost. A free program does not require payment information to be entered. Please note, however, that membership fees are charged as usual even when programs themselves have no charge. It's possible to edit various texts on the Apparatus modules by editing the resource files. The editing process is very similar to that of the email content update process - click here for instructions. On the Translate Resource Files page, set the Mode value to the Apparatus portal. Important: Do not select Global or Host unless you wish to make changes to ALL sites! In the Resource File drop-down, navigate to the Local Resources > DesktopModules > INNO > App_GlobalResources directory and select the "InnoRegistration" resource file. Note: When the specific Apparatus site has been selected for the Mode field value in the previous step, the selected RESX file name will contain the text "Portal-n", where n is the portal number. Make sure to select the "InnoRegistration" with no additional text in the file name. Update the desired texts in the "Localized Value" column, then click "Save Translations to File" button. Note: The text above the Login fields is located in the InnoRegistration.LoginView.HEADER field, and the text above Registration fields is in the InnoRegistration.RegistrationView.HEADER field. This is a basic blueprint for how to configure an Apparatus portal in conjunction with your website. 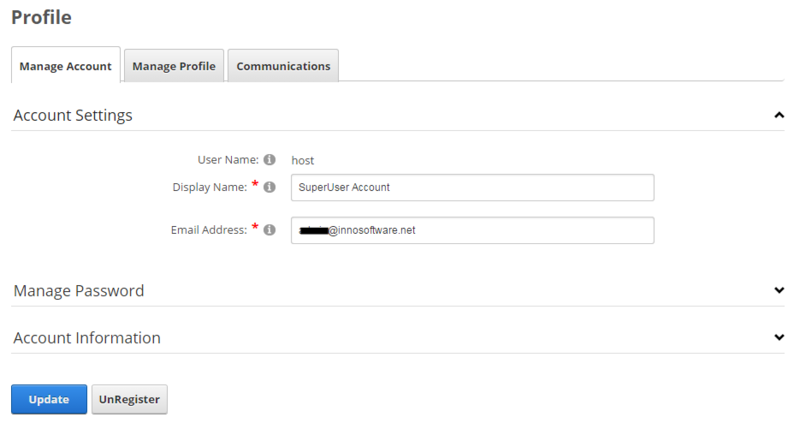 Create a new user account, specifying the email address in the User Name, First Name, Last Name, and Email Address fields. This email address will be publicly displayed as the contact for support, and this account will receive administrative emails from the site. 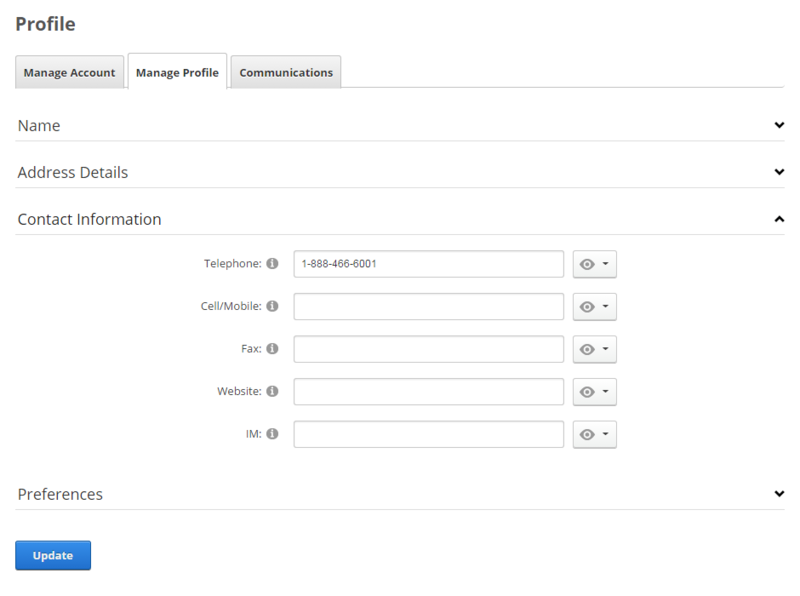 Fill the Telephone and Website fields in the account profile. The website is the address for your existing website (not the Apparatus portal). If there is no phone number, leave this field blank. In the Account Settings for this user, assign the Administrators role. Set the site's Home page. If the Apparatus module will be used on a page other than the Home page, add that page as a public page. Add a public page named Apparatus Profile. Add public pages named Login and Thank You, and ensure the "Display in Menu" property for these pages is unchecked in the page settings. On the Login page: Add a new module called "Account Login" > Configure the settings > "Login Only" and check "Enable Remember Me"
Add an admin page named Apparatus Manager: To add a page under the Admin menu, open the page properties and select "Admin" as the Parent Page value. Set the Site Time Zone setting to the local time. Set the default login page to the Login page created above. Important! Before completing this step, ensure the 'Account Login' module has already been added to the 'Login' page! 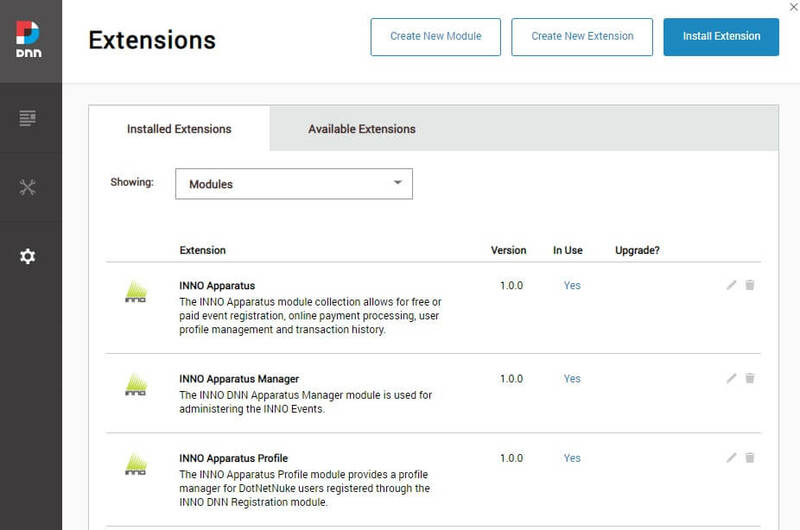 On the Apparatus Manager page, add a new INNO Apparatus Manager module. Only Administrators should be able to view this page. On the Apparatus Profile page, add a new INNO Apparatus Profile module. Set the permissions so registered users must be logged in to view this page. In the root directory, add a folder to the root called "Images"
Click here to jump to instructions on how to load and modify resource file values. Important! Caution should be taken when modifying resource files! Back up the file content before making changes. Edit the email template RESX file to customize the email content for your organization. This file is used to send out confirmation emails to registrants and administrators. Methods for users and administrators to reset account passwords. All users can reset the password from the Login page. On the Login page, click the "Forgot Password" link. Enter the email address of the household account you signed up with. An email will sent to that address with instructions on how to reset the password. Open the email and follow the directions. If you have not received the email after several minutes, check your junk folders in case the email has been flagged. Enter a new, strong password. Passwords are case-sensitive. A strong password includes mixed-case letters, numbers and special characters, and is not a password you have previously used. The Apparatus system requires at least seven (7) characters in the password. Click the Change Password button to submit the new password. If you encounter an error while saving the new password, please try submitting a different password. The Apparatus Profile module has a Change Password section. All logged-in users can browse to the Profile page and reset the password here. On the Profile page, scroll down to the Change Password section. Click the Update Password button to submit the new password. If you encounter an error while saving the new password, please try submitting a different password. When possible, all users should update their account password using one of the self-service methods described above. When these methods fail, administrators may use one of the methods described below to force a password change on behalf of a user. In the DNN menu, go to the Users section under the Manage menu. Find the user whose password needs administration. Click the gear icon to the right of the user to display user settings. Change Password Enter a new, strong password at the prompt. Passwords are case-sensitive, and the Apparatus system requires at least seven (7) characters in the password. Click the Apply button to submit the new password. If you encounter an error while saving the new password, please try submitting a different password. Remember to provide the password to the user! Force Password Change This option is not recommended, because - depending on how the DNN site is configured - selecting this option may either redirect the user to a password-change page after successful login with the old password, or send a password-reset link to the user's email. See below. Send Password Reset Link Selecting this option sends a password-reset link to the user's email address. Users then click the link in the email and are redirected to a page where they can reset their own password. Log in as Administrator and click the gear icon in the DNN to load the Settings menu. 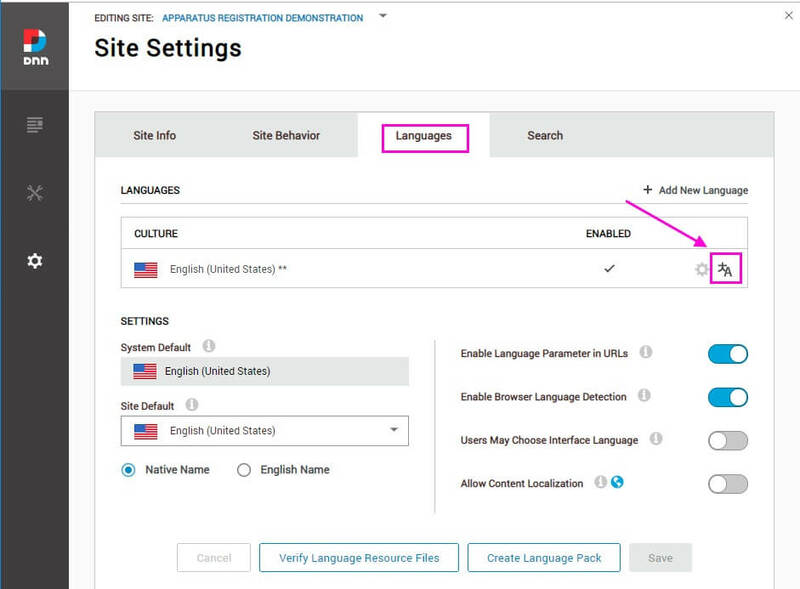 Go to Site Settings and select the Languages tab. Under the Languages section, click the glyph icon at right of the Culture to load the Translate Resource Files page. In the Resource File drop-down, navigate to the Local Resources > DesktopModules > INNO > App_GlobalResources directory and select the "Email_Templates" resource file. Note: When the specific Apparatus site has been selected for the Mode field value in the previous step, the selected RESX file name will contain the text "Portal-n", where n is the portal number. 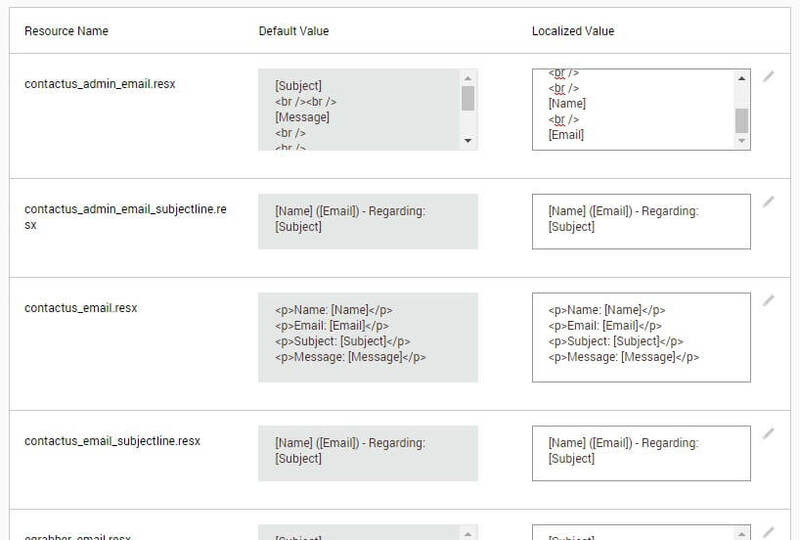 Make sure to select the "Email_Templates" with no additional text in the file name. When the RESX file is selected, the resource key name and value pairs appear below. Each email body and subject line are a different resource name. In the resource file, find the desired content values to update. Put the updated content in the "Localized Value" column. The content is accepted in HTML format. Ensure the HTML code is well-formed before saving! Click "Save Translations to File" button to save the changes. This solution is geared for those who are familiar with using resource (*.resx) files. Download and open your preferred resource file editor. If you're familiar with Visual Studio, the suite can be used to edit .resx files. 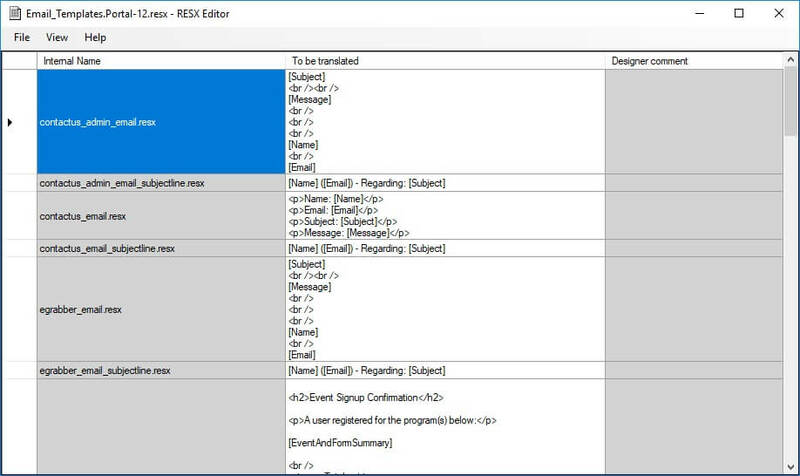 An open-source standalone .resx file editor is available on SourceForge. Download the RESX file from the server via FTP. 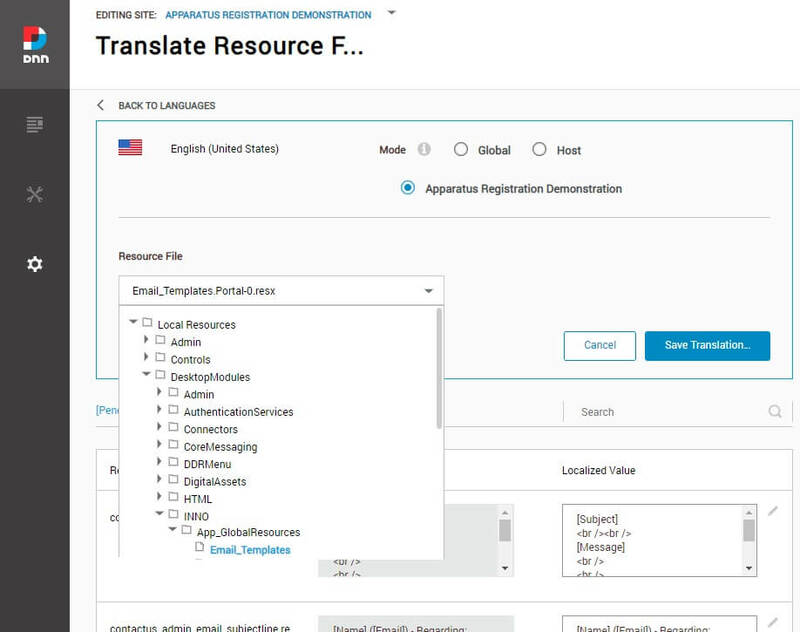 The resource filename starts with "Email_Templates" and is located in the DesktopModules/INNO/App_GlobalResources directory - each portal's resource file has the portal number in the file name. Save a backup copy of this file in a safe place in case you need to restore it! The RESX file content is separated into "Internal Name" and "To be translated" columns. The editable email content is in the "To be translated" column, in HTML format. Important: Do not edit the "Internal Name" column values! Replace the RESX file on the server via FTP. To ensure the server has the updated email content, clear the cache and recycle the application domain. Use these placeholders to provide variable details such as membership numbers and addresses. Go to www.stripe.com. If you don't have an existing account, create a new one. Under the Developer settings, select API Keys to view your unique Stripe keys.These keys allow applications to process transactions with your Stripe account. Make note of the Publishable Key and Secret Key. These values will be used in the Apparatus settings. Go to the Home page, or the page where the INNO Apparatus module is added, and enter Edit mode. Click the gear at the upper right of the Apparatus module, and select Settings. Select the INNO Apparatus Settings tab, and expand the Payment Options section. On the Payment Provider radio button, select the Stripe value. Enter the values for the Stripe Secret Key and Stripe Publishable Key. Both settings are required to process payments. (Optional) Specify the Thank You page. This page is where users are redirected after completing purchase, and is specified by relative path. If no Thank You page URL is specified, the user is redirected to the Home page after completing purchase. On the Payment Provider radio button, select the Paypal value. 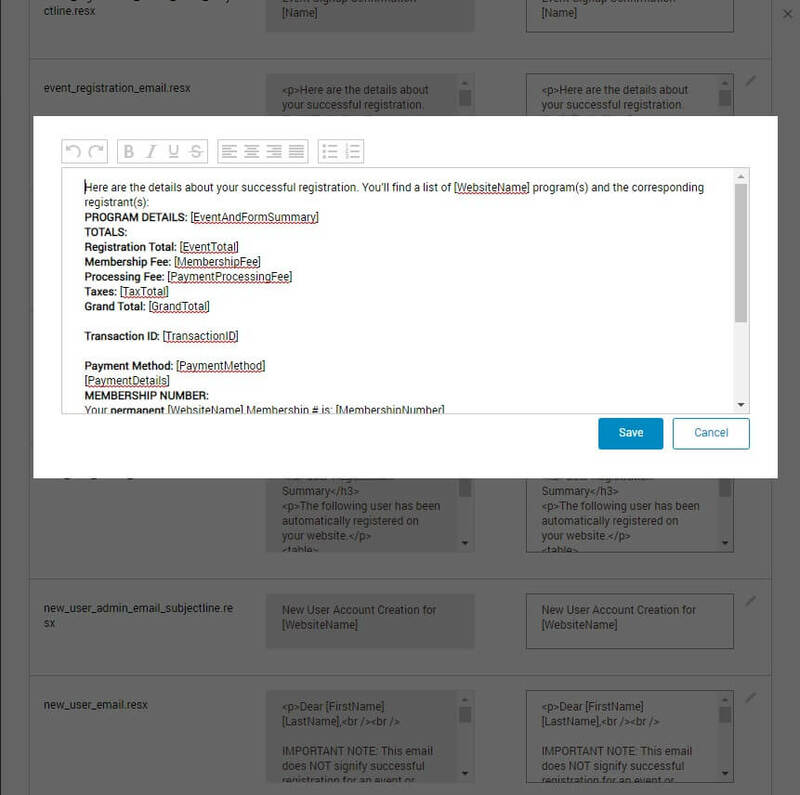 Set the Environment radio button value, and specify values for the applicable Application ID, Username, Password and Signature fields. Filters can be used to create packages of programs. For example, to require the enrollment in two or more programs from a collection to create a package deal. Simple (non-package) filters can also be created. Open the Apparatus Manager and select the Manage Filters tab. Provide values for the filter fields. If the filter is being used to enforce multiple program selection, select the Package checkbox, and specify the number of programs with this filter in which the user must enroll. Click "Add Filter" to add the filter to the list. Add or edit a program. In the Event Filters section of the event, select the desired filter. When a program has a filter applied, the item count will be validated before the user can proceed with checkout. If the shopping cart doesn't contain the correct quantity of a program with a package filter applied, the checkout process will not proceed until this is corrected. 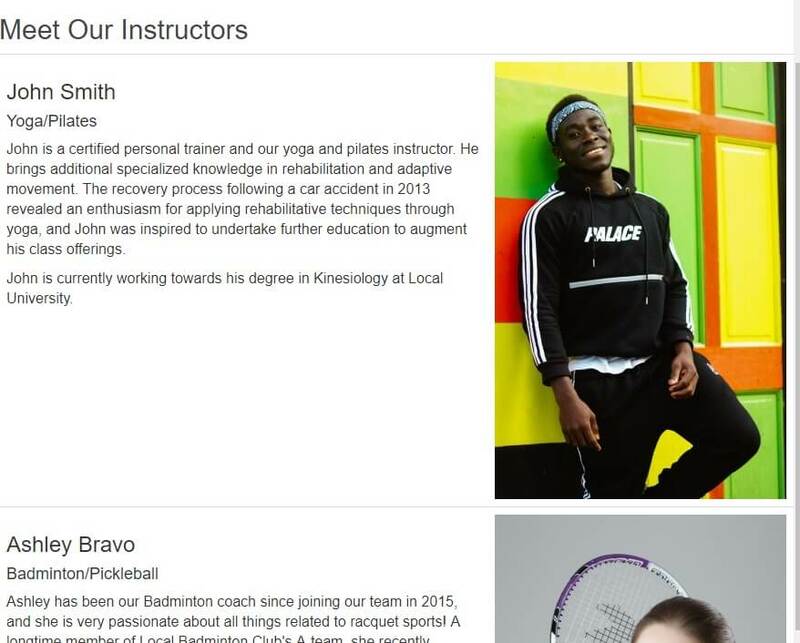 If you have not already added a page for instructor profiles, do so now. Add each instructor's profile and photo, if applicable. Make note of the page URL for each instructor. If the instructor profiles do not have unique links, it's OK to use the same link for multiple instructors. 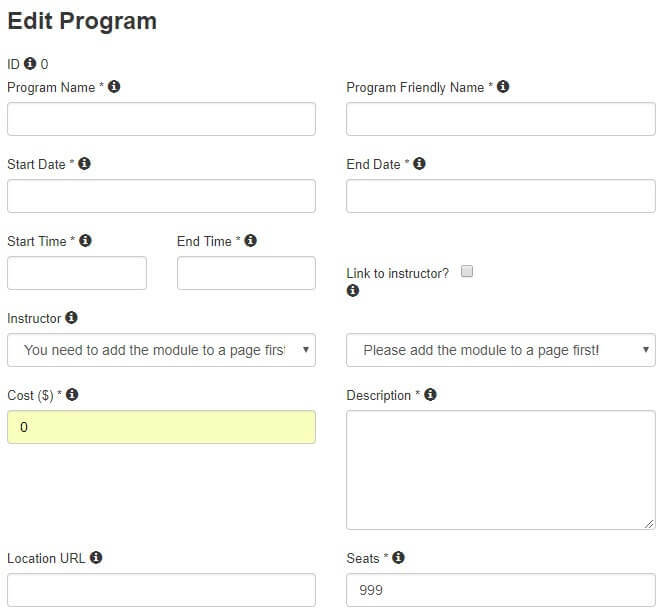 Enter values for the first and last name of the instructor, and their profile URL. Click "Add Instructor", and the instructor entry is added to the list of available instructors below. Existing instructor entries can be edited by clicking the pencil icon next to the name in the list. Go to the Apparatus Manager and add or edit a program. In the Instructor field, select an instructor from the drop-down list. This will cause the instructor's name to be displayed in the program details. Ensure the "Link to instructor" box is checked to display a link to the instructor's profile beside their name. Note: Only one instructor can be selected per program. IMPORTANT: Reports are generated from LIVE data! 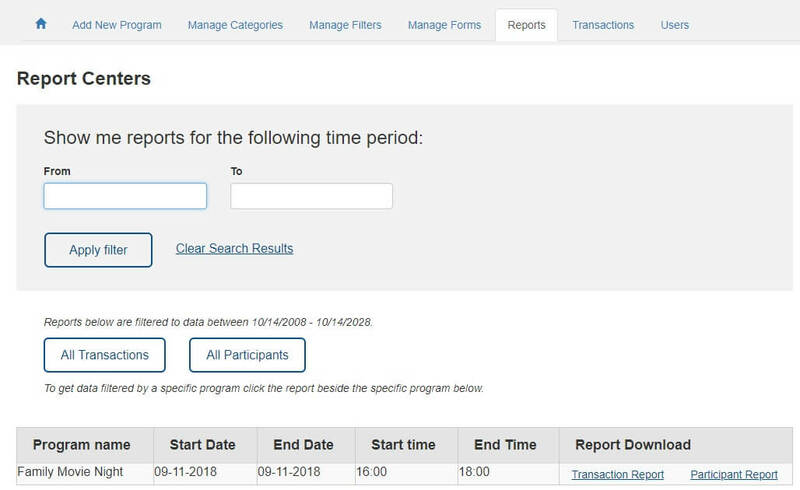 It's prudent to save copies of transaction and participant reports for programs before any changes are made to the program, because changing program details will change the report data. For example, changing the price of a program will update the price in newly-generated reports for past transactions, which could cause users to appear to have paid an incorrect price for the program. Ideally, reports should be saved in a secure location on a regular basis for record-keepting purposes. The issue may also be circumvented by creating a new program when program details change - for example, creating a separate program at each price point to differentiate report data for those price points.